The right to a basic income, empowering Indigenous communities and engaging young people, have been raised as key priorities for the social sector as it heads towards 2030. On Tuesday and Wednesday, the Australian Council of Social Services (ACOSS) held their 2017 National Conference in partnership with VCOSS in Melbourne. The conference brought together community leaders, policy makers, academics and people with lived experience to collectively tackle the issues driving inequality in Australia, with this year’s event focused on ‘Australia in 2030: Creating the future we want’. ACOSS selected 2030 as a focus because this is the year the UN put in place to achieve the Sustainable Development Goals. These are “a universal call to action to end poverty, protect the planet and ensure all people enjoy peace and prosperity”. 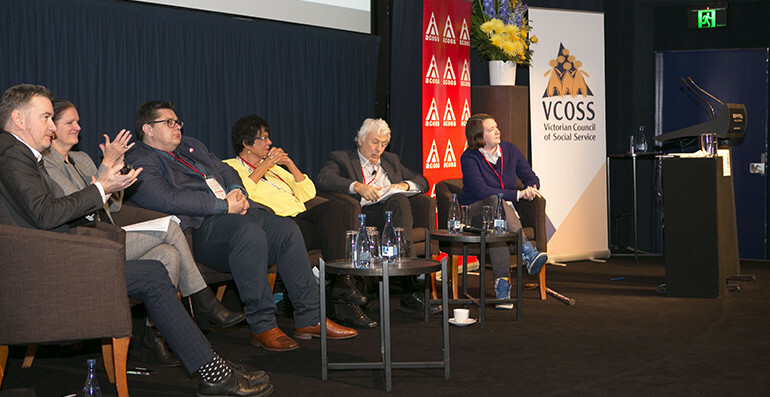 Speaking at a session discussing the future of the social sector, ACOSS CEO Dr Cassandra Goldie said the right to a basic income was at the heart of their agenda to address inequality in Australia. “The right to a basic income is what our agenda on addressing the inadequacy of social security payments is about,” Goldie said. “Anybody who says money doesn’t matter is typically someone who has a fair bit of money. I think our most critical agenda in the 12 or so years we’ve got before 2030, is immediately to ensure that people now, who do not have enough, have the right to a basic income. Patricia Turner AM, the CEO of the National Aboriginal Community Controlled Health Organisation (NACCHO) echoed this call, and said the views of citizens needed to be better addressed by governments. 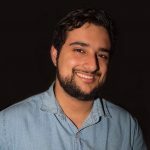 “I support basic income, and I think it does need a much greater level of debate in the Australian community. I think the punitive measures used against Centrelink recipients and the cashless welfare cards, are backward steps which the evidence shows does not work,” Turner said. “You always hear about Australia as being the land of the fair go, but if you’re Muslim at the moment you wouldn’t think that. If you’re a gay person at the moment you wouldn’t think so. If you’re a battered wife or an Aboriginal person, you wouldn’t think so. Issues around the treatment of Indigenous Australians was also raised during the session. Indigenous Australian Jason Eades, who is the director of consulting at Social Ventures Australia, said the voices of his community were not being heard. “Fundamentally, I think that indigenous people do feel disengaged and disempowered,” Eades said. “One example is the Recognise campaign, in which it was clear there was a lot of goodwill around changing the constitution to include Aboriginal Australia. But the real debate opened up around [if this would just be] symbolic or if it would be meaningful work… that would create improvements for Aboriginal people. Given the focus on the future, the concerns of young people were also a key discussion topic among the panel. One of the panellists was Paige Burton, the 2017 Youth Representative to the UN. She told Pro Bono News that young Australians deserved to be treated with greater respect by the broader population. “I want to see an Australia where young people are treated with the complexity they deserve. Where young people’s opinions [are valued as] a product of their values, experiences and knowledges instead of their age,” Burton said. “This is the youngest ever generation of young people and we can’t solve any of the problems happening around the world without the input of young people, so hopefully we can recognise that earlier. During the conference, she was vocal about the importance of young people to the future of the social sector in particular. “Young people power the nonprofit sector… it’s an important to have young people on your staff,” Burton said. Responding to this call for greater youth engagement in the sector, Goldie told Pro Bono News that organisations needed to open up their doors, to allow young people to drive community action heading towards 2030. “We need to now ask young people what we need to do to change our behaviours in the community, to open up our doors to the participation of young people,” she said. “I think there are examples of social sector organisations that are doing this very well. We have seen [examples] where young people really driving community services, where the doors have been opened and there’s a high level of participation by young people.